The Badminton Horse Trials church services takes place this year on Sunday, 5th May at 10:00am in St. Michael and All Angels, Great Badminton. The service is open to all and will follow a shortened version of the 1662 Book of Common Prayer mattins service. You will find directions to the church lower down this page. Please read them carefully and allow plenty of time to reach the church in time for the service. 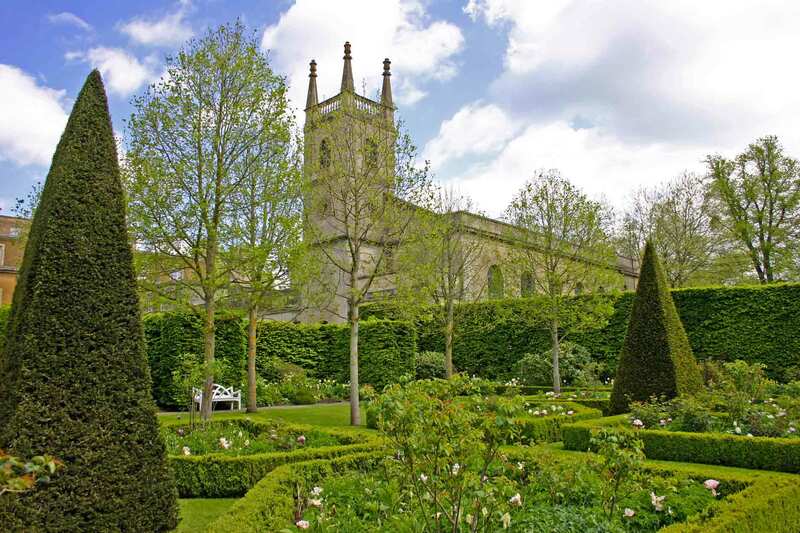 If you are just coming to the church service and will not be attending The Badminton Horse Trials, please park at the Village Hall in Hayes Lane and walk up the drive to the church. Parking on the drive to Badminton House and the church is strictly forbidden. If you are attending The Badminton Horse Trials, please park in the showground car parks. You will need to allow 10-15 minutes to walk from the showground to the church. Using the Horse Trials map, walk down Somerset Way and leave the showground through the left-hand set of gates. Continue down the drive until you reach the High Street outside The Duke of Beaufort’s Estate Office. Walk around the small green and through the large set of gates to your left (passing the “No Public Admittance” sign). At the top of the drive, just before the courtyard walls, turn right through another set of gates. You are now in the gardens of Badminton House. At the far end of the hornbeam hedge on your left is the path to the church. Please do not use the path midway along the hornbeam hedge. It is private and you will not be able to get to the church from there.